We all remember Beyoncé's jaw dropping return when she made her first public appearance since giving birth to daughter Blue Ivy a little over a month ago. Aside from her stunning post baby body one of the things that stood out most were her vibrant blue nails; sort of her personal dedication to baby Blue. I've been eyeing that polish since I first got a glimpse and I've finally got my hands on it! 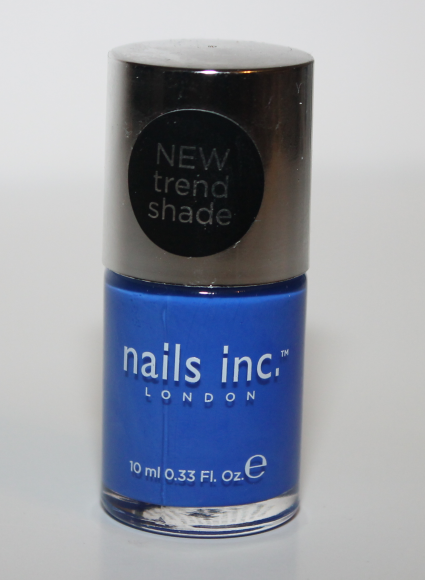 The nail polish is by the UK company Nails Inc in their brand new shade Baker Street. I've totally fallen in love with this color and I'm offering my readers a chance to fall in love too! 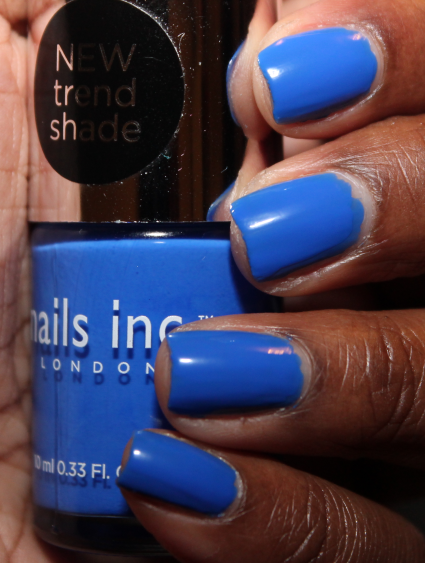 Check out my full review and swatches below and enter the giveaway to win your very own bottle of Baker Street by Nails Inc! 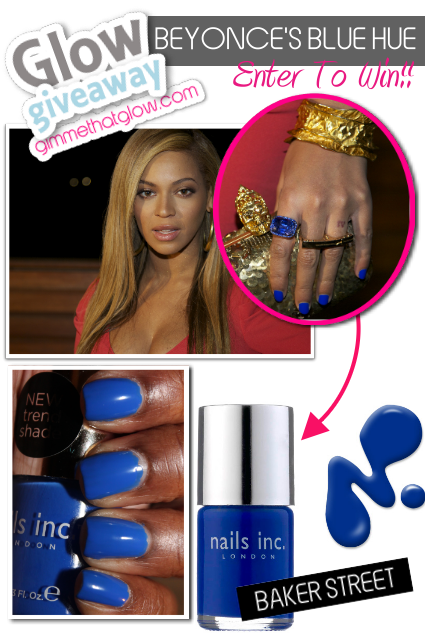 Baker Street by Nails Inc.
Glow: For starters this color is a super vivacious and vibrant shade of blue. 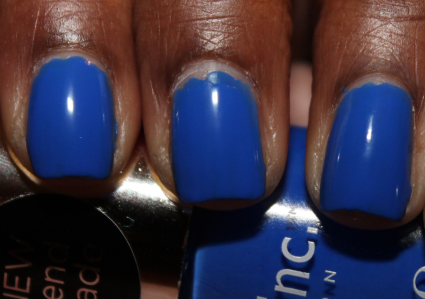 The flash on my camera sort of washes out the complete awesomeness of the shade but the true color of this polish is more of a royal or cobalt blue. It's really bright and a conversation starter to say the least. I've only worn it out once since buying it and I received tons of compliments! The formula is pretty rich and consistent. I used two coats in the swatches above but you can totally get away with only one and still get full coverage! 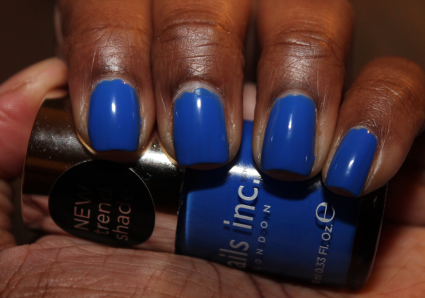 Where To Buy: Baker Street by Nails Inc. is currently available on their website http://nailsinc.com/ but do note they only ship to the UK through their site. But fortunately for those of us who live in the US the polish is also available on Sephora's website and retails for $9.50 each! Nice color. I might have to go ahead and stop by Sephora on the way home! I found that CND Shiney (yes, Shiney) helps with chipping.